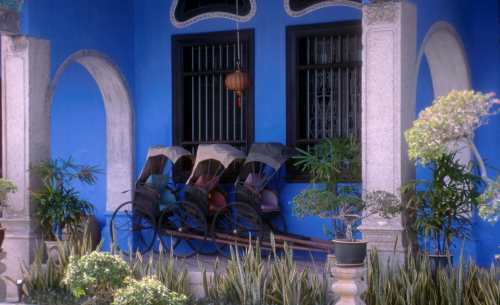 Malaysia, settled 50,000 years ago by migration from the north, has been influenced by Arab traders and later by Portugal, Holland, and Britain as they vied for control of the trade routes in the Far East. Recently a part of the British Empire, it was given independence in the 1950's. It consists of 2 major landmasses separated by the South China Sea and many small islands. Its population of 20 million consists of native Malays, Chinese and several ethnic groups that share their heritage with Indonesia and the Philippines. Although multi-ethnic, it is a predominantly Muslim country that generally tolerates other religions, although at least one of the states is moving towards an Islam-based government. 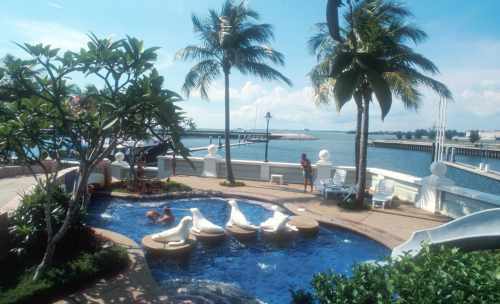 Port Dickson - This luxurious marina was a delight, slips were plentiful, the pool was refreshing and they had nightly movies in a comfortable conference room. The town itself was rather plain, but friendly and a source of common provisions. 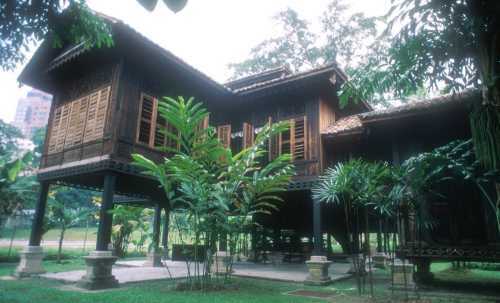 It is also within easy reach of Melaka, a wonderful historic city with beautiful buildings and an interesting museum. Having a strategic location along the Straits, it attracted the attention of Portugal, England, and Holland - and memories survive from all of them. Penang - A Chinese enclave inside a Muslim country, it was one of the most photogenic destinations we visited in Malaysia. 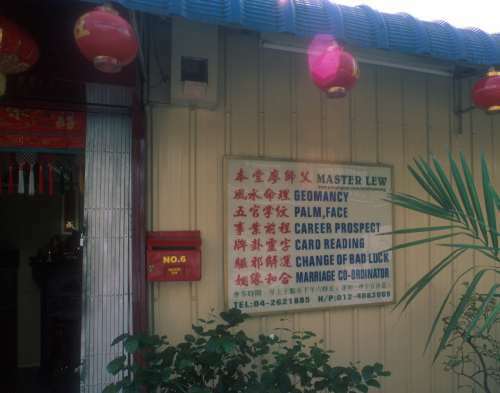 As we walked the streets we passed traditional medicine stores, blacksmiths, and temples interspersed with dive shops and internet cafes. 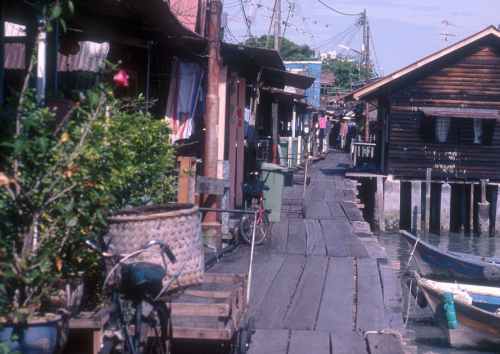 Port Klang/Kuala Lumpur - Port Klang is home of the Royal Selangor Yacht Club, and the main port for Kuala Lumpur, the capital. It really has very little to recommend it, in our opinion, although we here were introduced to Penang Curry, one of the best culinary dishes we have enjoyed in SE Asia. 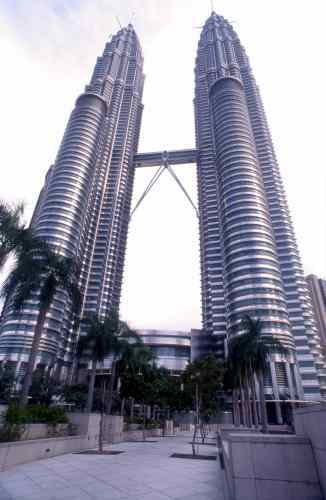 KL, as the capital is known, is a very modern city with very organized traffic, skyscrapers, and all of the conveniences one would expect in a world-class city. 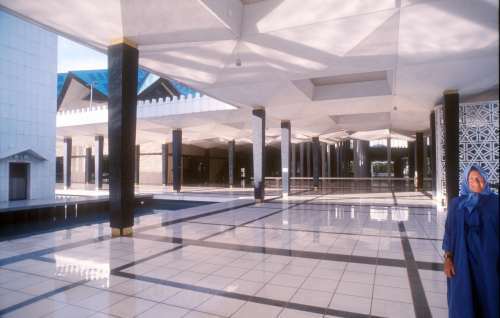 Among the tall buildings, most notably - the Petronas Towers, nestle many mosques, including the National Mosque shown below, that require all women to dress appropriately as well as museums and restored houses from times past. 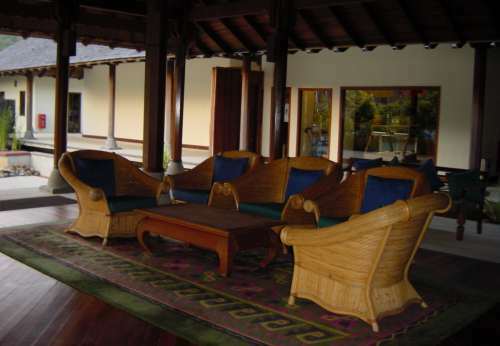 Langkawi - This is a small resort island visited by tourists from around the world. On nearby Rebak island is the Rebak Marina Resort with a laid-back atmosphere and prices that make cruisers return year after year. Many cruisers staying in Thailand ship expensive equipment into duty-free Langkawi, and reluctantly make the 24-hour run to void the 80-100% duty plus graft imposed by Thai Customs officials. Development has been start-and-stop for the island as many projects are built and then abandoned or neglected. The Muslim hotel to the right is beautiful from the water, but up close it shows its neglect and has no customers. The waters surrounding the island are nice for cruising and are protected, but murky and little can be seen while swimming. See Destination - Langkawi for cruising information. During the hot tropical days, thunderheads build up over the island of Sumatra to the west of the Malacca Straits. During the SW Monsoon (April-November) this hot air drifts east across the straits, unleashing 20-50 knot winds, lightning, and downpours. These 'Sumatras' as they are called are the bane of cruising the coast as they wake us at 2-6 AM, threaten to pull out our anchor and make an otherwise peaceful night a frantic fire drill! Several cruisers suffered lightning strikes during these violent, but short, squalls. Malaysia is a modern country and although technically it is a secular state, Islam is an important component. At least one of the states has implemented Muslim law for the state, and is lobbying to apply it across the nation. The current president, Mahathir, is resisting but he is a lame duck, and the future is somewhat uncertain. People have been quite friendly to us, but are not really outgoing and the nation is somewhat dull due to the prohibition of many pleasures that Westerners enjoy. Workers are competent but generally do not appear to be 'driven' to excel. Religion is a big part of their lives, and during Ramadan the fasting makes for a short day as workers finish at 3PM to attend afternoon prayers. After leaving Langkawi, we headed north to the Kingdom of Thailand.